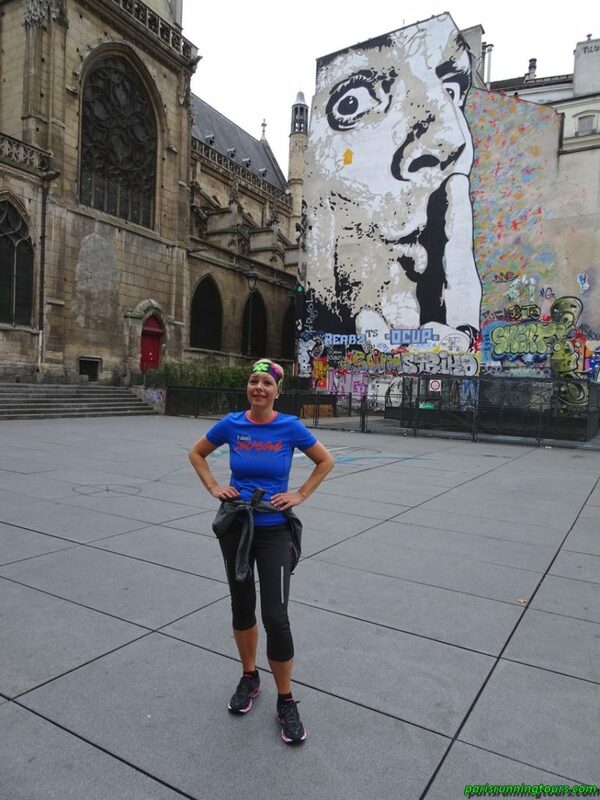 At Paris Running Tours, we love all aspects of Paris and there are many, History, Art, Culture, new trends, street furniture, new events, etc. We like to share all this with our visitors. 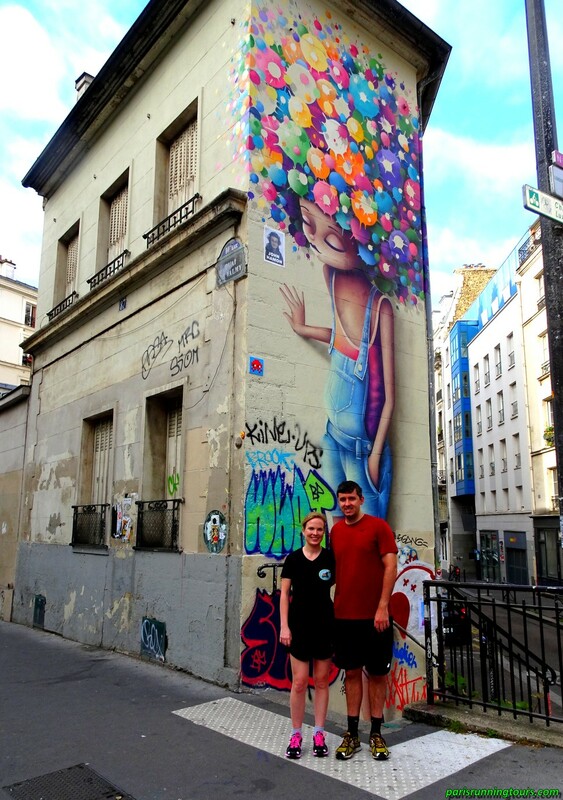 One of the things we like to introduce you to is the Street Art (or “Street-Art”) that flourishes everywhere in Paris. New works of art regularly appear in the different districts of Paris, as above, with this recent work by Seth in this old district of Paris, Seth who often paints children as here. 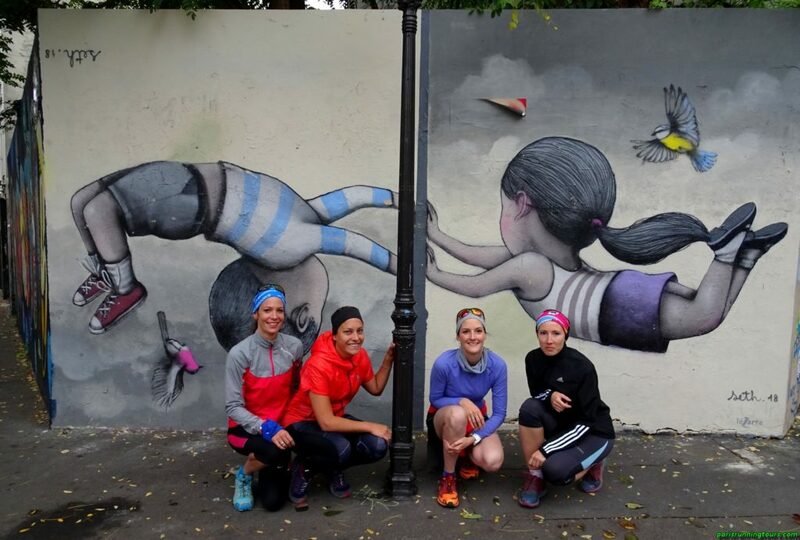 Thank you to our runners from Switzerland, on this Sunday, October 7, 2018, Christine, Morgane, Marie-Eve and Nathalie! Thank you Christine for introducing us to “the whole team”. We were very happy to meet you again for a tour. “Chut !” of Jef Aérosol – Thank you Beate ! At the top of the picture, a little being seems to look at our runners with curiosity. The works of “Pixel Art” are very frequent in Paris. Thank you Tania and Gerrit! Bridge of Arts – The Paris Coat of Arms modernized. Thank you Melissa ! Next Sunday, October 14, 2018, it will be the race of the 20 km de Paris. 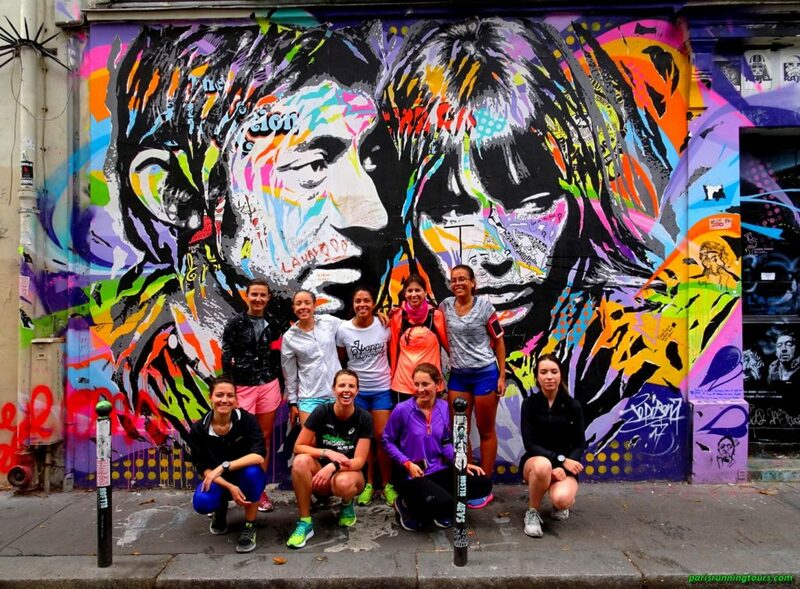 The theme of this year’s race: “Street Art”! 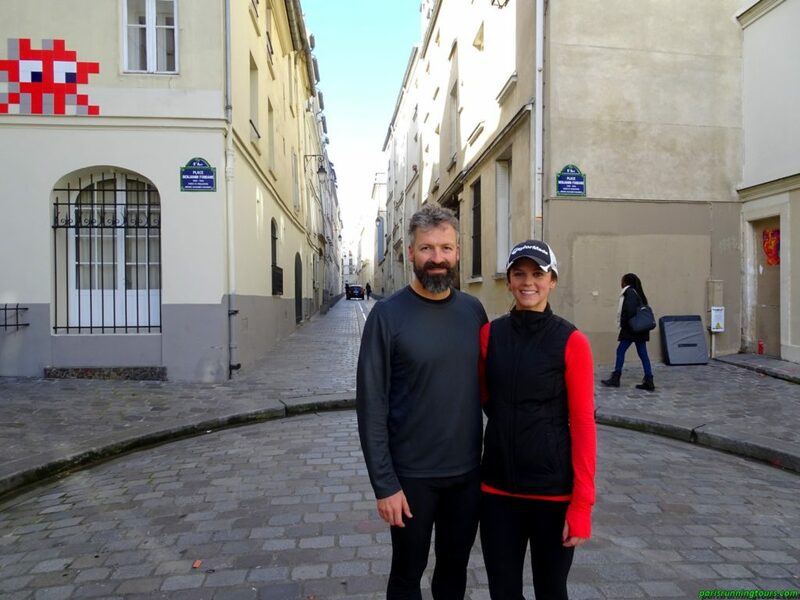 Center of Paris, right bank with Liz and Curt In front of the oldest tree of Paris with Michael Two running tours to discover Paris with Jennifer Running, understanding, having fun! 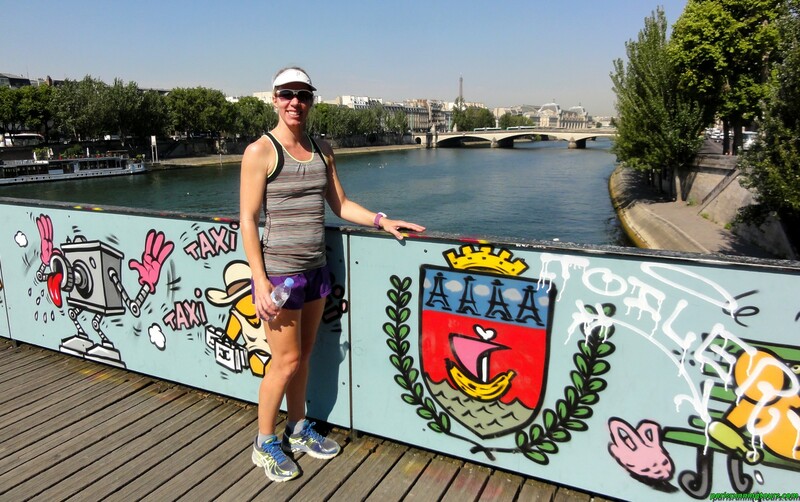 Meet Kristine again for a new visit of Paris and go deeper with Pauline on a walking tour.